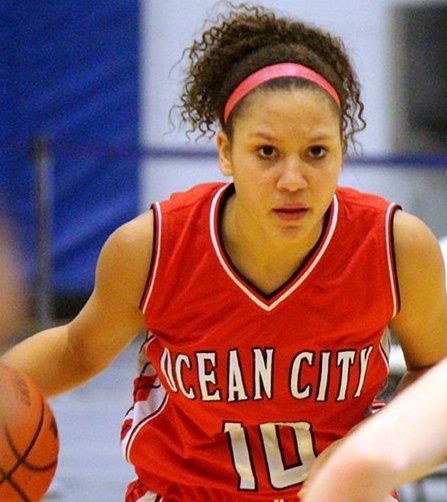 Danielle Donoghue came close to a triple-double and Tori Rolls sealed the win from the foul line on Saturday as Ocean City High School’s girls basketball team rallied to defeat Camden Catholic, 52-37, in the Battle By The Bay tournament in Atlantic City. It wrapped up another good week for OCHS sports teams that included a pair of boys wins sparked by Donovan Graham; wins by both swim teams; a trio of wins by the wrestling team; and Alexa Palmieri and Casey McLees finished one-two in the 3200 meters at the South Jersey Group 3 Open. Donoghue (above) scored 13 points, grabbed 16 rebounds, made eight assists and four steals to pace OCHS in every category. 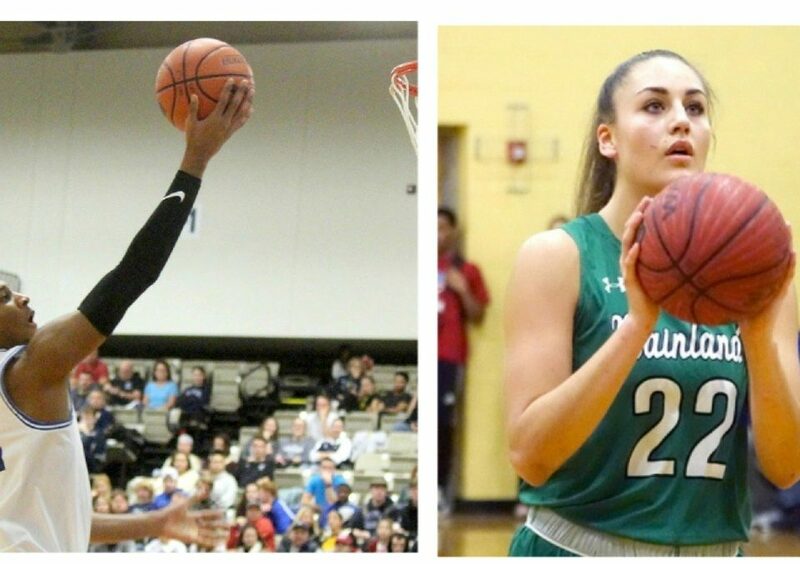 The 13 points lifted her career total to 613, the 28th highest total in school girls basketball history. Ocean City trailed early but had the lead in the fourth period when the Irish moved within three. But Rolls (below) made five free throws in the final three minutes to eliminate any Camden Catholic rally. The Raiders only turned the ball over eight times in the game but fell behind by shooting only 35 percent from the field in the first half. 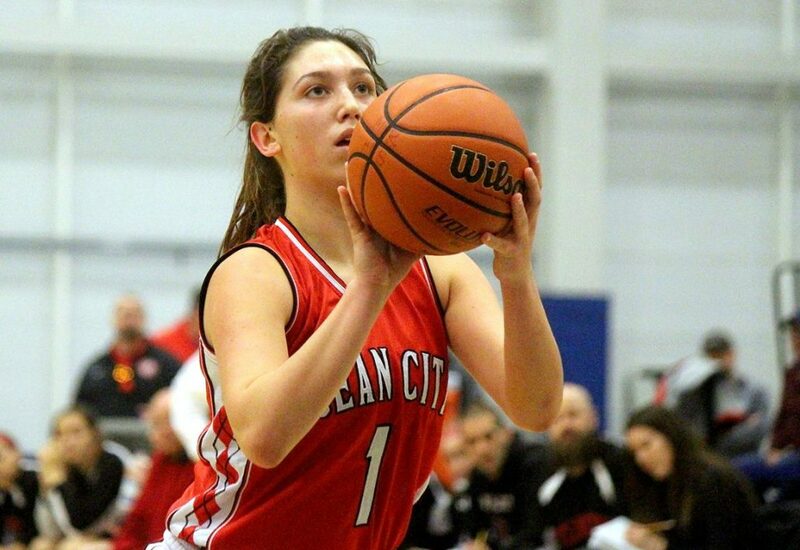 Emma Finnegan added 11 points on 5-for-9 shooting for Ocean City, Savanna Holt had eight and Rolls scored seven. 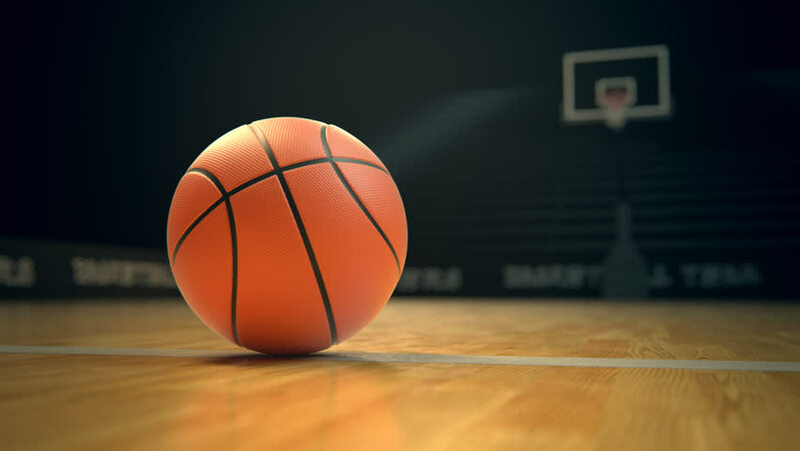 Paul Baruffi’s girls (13-4) will visit Absegami on Wednesday, host Oakcrest on Friday and will play one of the best teams in the state on Saturday in the War vs. Shore at Mainland. 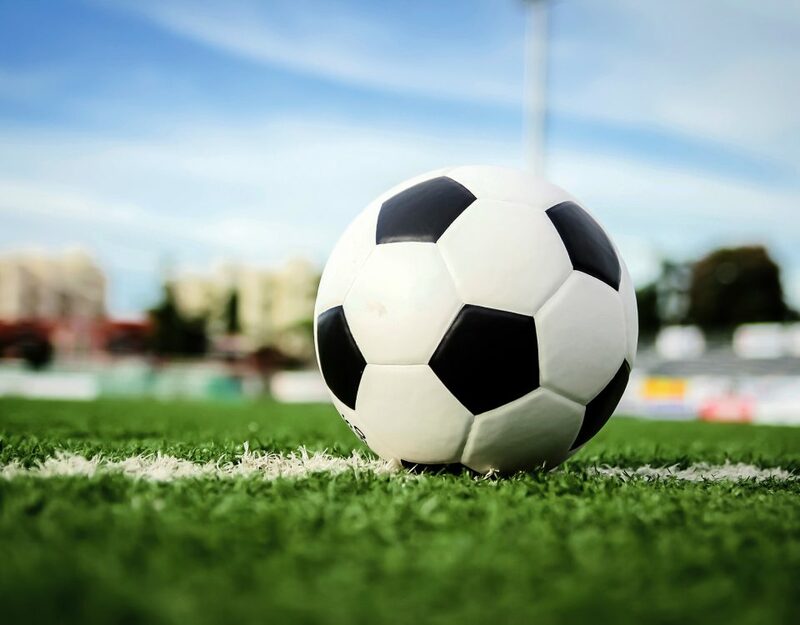 The event pairs girls teams from the Cape-Atlantic League with Shore Conference teams and OCHS will play Manchester Township (18-2) at 3 p.m. The Hawks are ranked No. 2 in South Jersey in the Online 25 and No. 5 in the state by NJ.com. Ocean City is No. 12 in the Online 25, which is available here – http://www.primeevents.net/2019GirlsBB25.html. 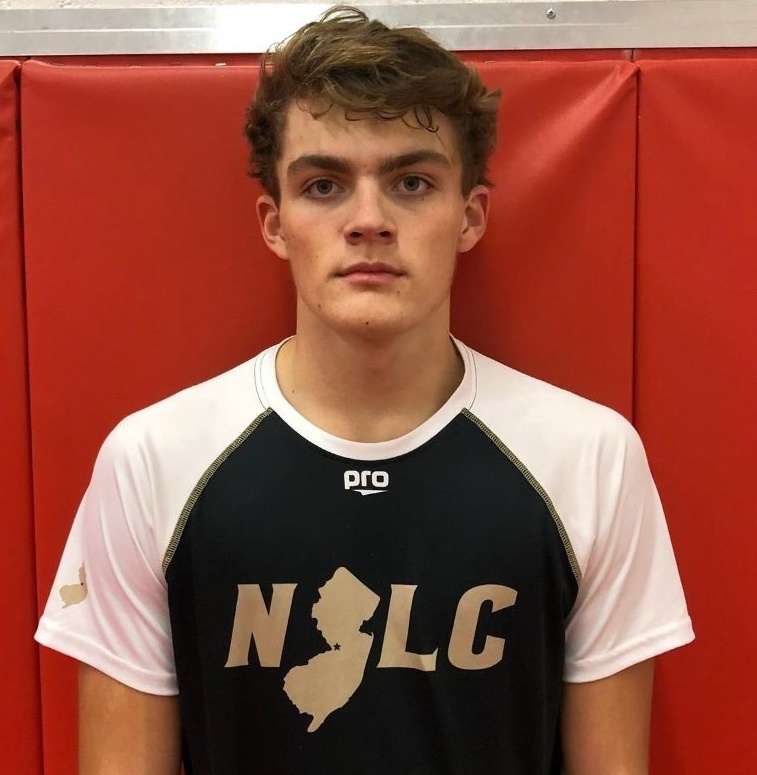 Graham scored 18 points for John Bruno’s team in a 61-56 comeback win over Wildwood and he got 22 points in a 68-59 win over Holy Spirit. The Raiders trailed at Wildwood by 16 halfway through the third quarter but reduced the lead to five by the end of the period. Graham scored seven and Luke Varallo five in that rally. 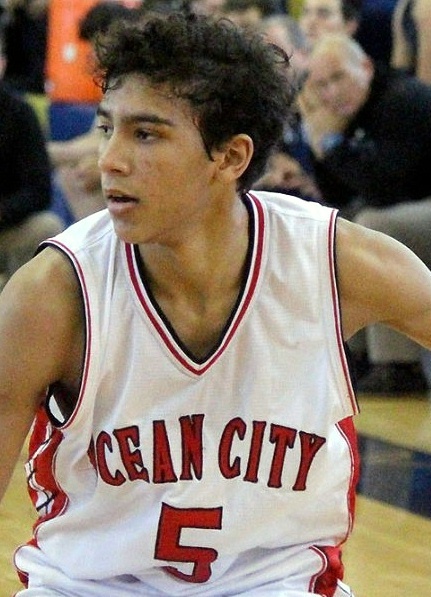 Ocean City finally took the lead on Graham’s three-pointer halfway through the fourth quarter and never looked back. 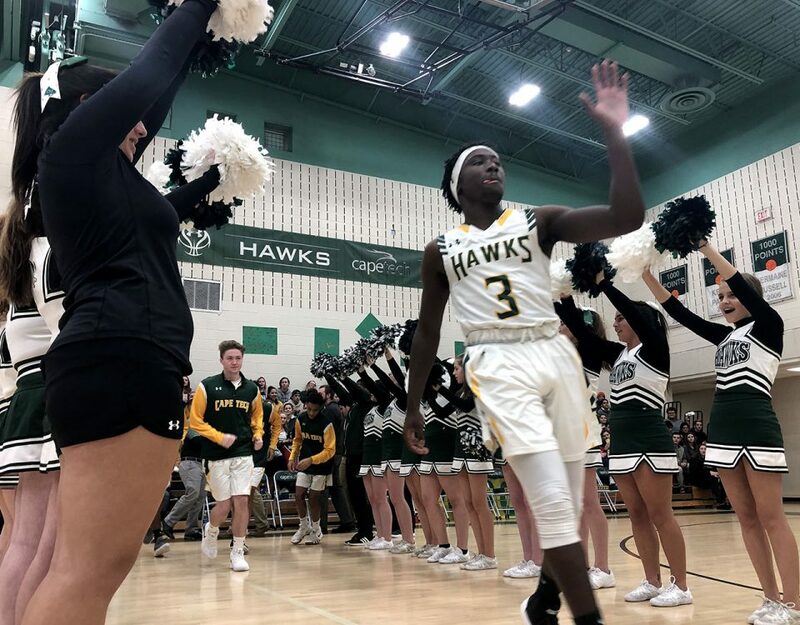 Graham’s 18 points was followed by Gannon Brady’s 16 points and six rebounds, Varallo’s 11 points and Joe Sacco’s impressive line of nine points, 11 rebounds, three steals and seven assists. Against Holy Spirit, Varallo scored 11 points in the first period, hitting a trio of three-pointers, the Raiders opened a 10-point lead and led the rest of the game. Graham (above) had 22, Varallo 13 and both Brady and Sacco scored 11. Brady had eight rebounds and Sacco seven assists. 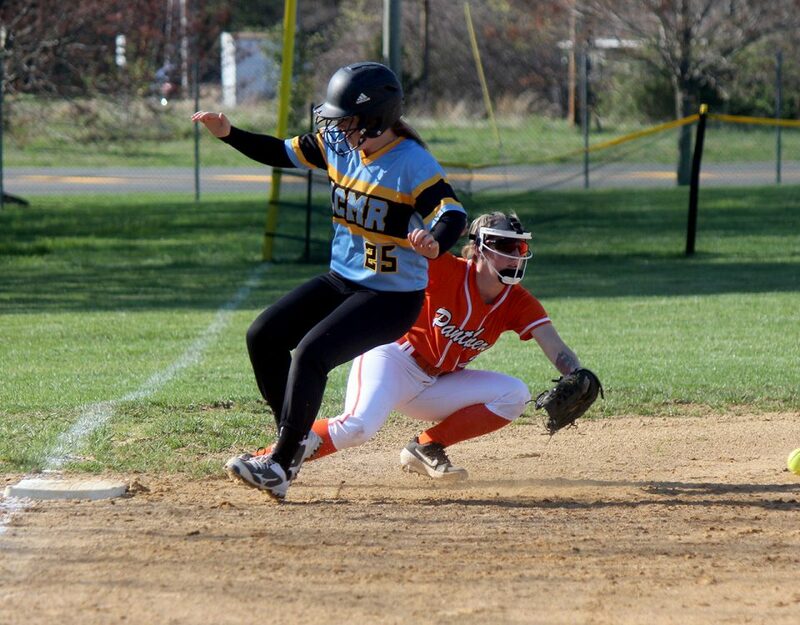 Bruno takes his Raiders (13-3) to Cumberland on Monday, they host Absegami on Wednesday and travel to Mays Landing to play Oakcrest on Friday. The Ocean City wrestlers (10-11) swept a quad at Lindenwold. Dan Calhoun’s team defeated the host Lions, 41-27; St. Joseph, 42-27; and Winslow Township, 60-18. Tom Oves registered three pins in the three matches while only spending a total of 55 seconds on the mat. Bill Kroeger (below) also won a trio of pins in the quad with Nick Bell, Sam Williams, Caleb Gartner and Nick Sannino each pinning two opponents. On Saturday the Raiders will wrestle in another quad at Vineland which will include Lower Cape May and Palmyra. 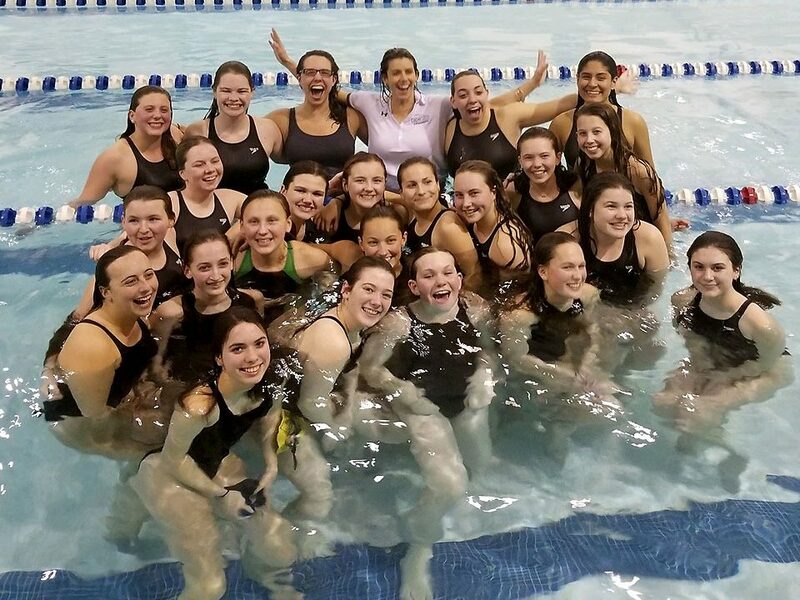 The OCHS girls swim team (9-2) defeated Washington Township, 115-55, and won every single event. 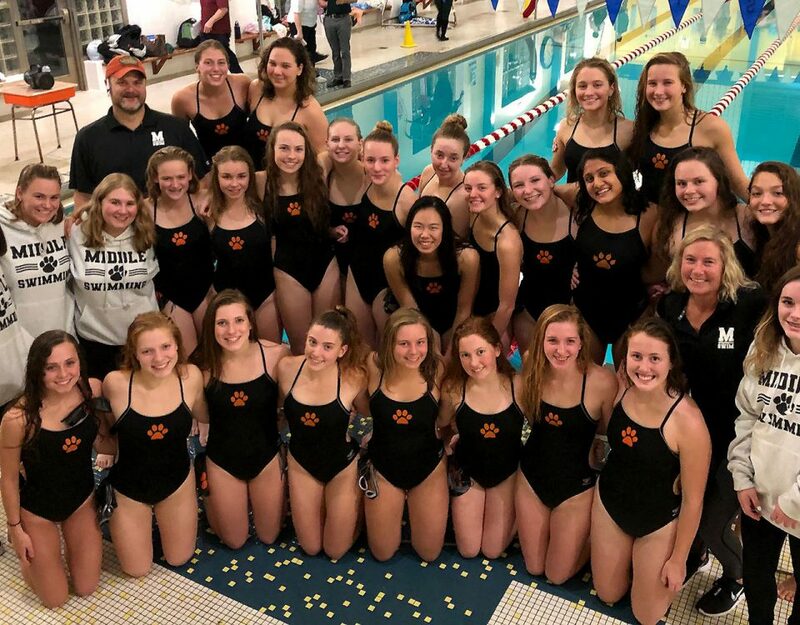 Alex Antonov won twice (200 individual medley and 100 butterfly) with six others winning once – Claudia Scherbin in the 200 freestyle; Brooke Powell in the 50 freestyle; Olivia Scherbin in the 100 freestyle; Andrea Teofanova in the 500 freestyle; Emily Myers in the 100 backstroke; and Brynn Bowman in the 100 breaststroke. Ian Keyser’s team has been seeded third in the NJSIAA South B Tournament. 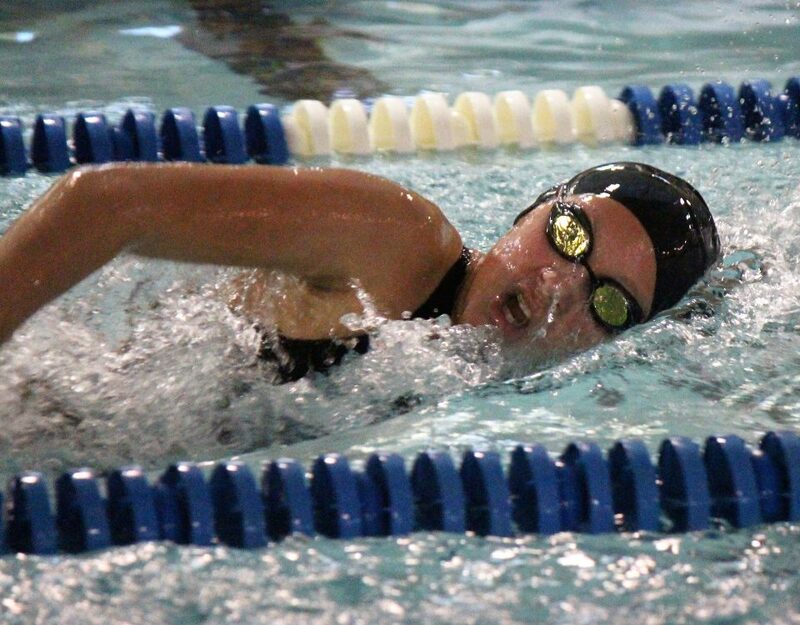 The Raiders will host the winner between Shawnee and Jackson on Friday at the Aquatic & Fitness Center. Jackson will visit Shawnee on Tuesday. Moorestown is seeded No. 1 and Mainland (whom the Raiders defeated last month) is No. 2. Nate Hays, Ethan McCarron and Ben Wiley all won twice as the Ocean City boys swimmers (8-3) defeated Washington Township, 108-62. 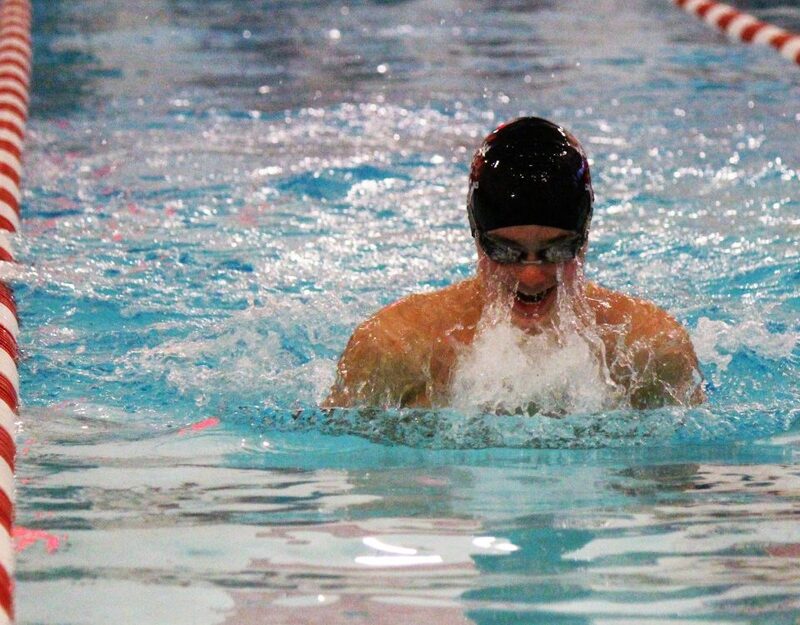 Hays won the 200 individual medley and 500 freestyle; McCarron finished first in the 200 freestyle and 100 breaststroke; and Wiley touched first in the 50 and 100 freestyle. Shane McGrath’s team has been seeded second in the NJSIAA Tournament behind No. 1 Mainland. 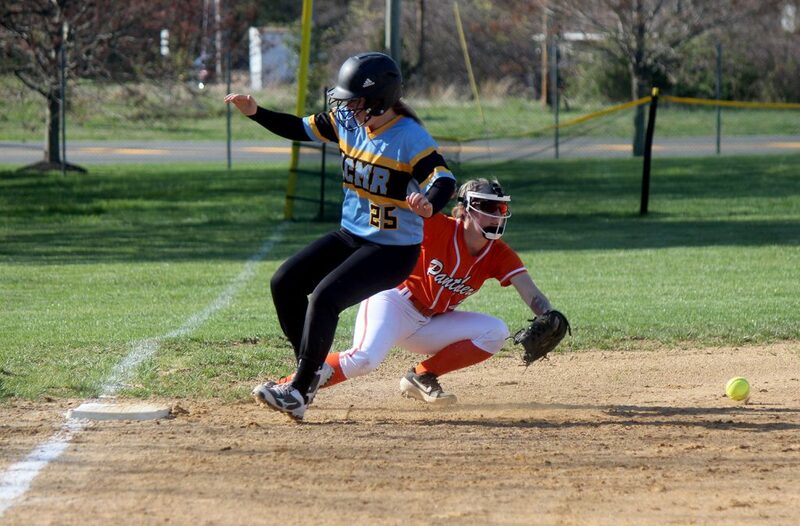 The Raiders begin on Feb. 11 against either Shawnee, Kingsway or Cherry Hill West in the South Jersey semifinals. In the South Jersey Track Coaches Association’s Group 3 Meet at the John Bennett Center in Toms River, Palmieri (above) finished first in the 3200 meters in 11:09.51 and McLees was second in 12:28.81. Among boys indoor results, Kevin King was fourth in the 55 hurdles, Max Kelly finished fourth in the 3200 meters, Joe Marshello was fifth in the pole vault and Luke Kramer was sixth in the 800. Matt Purdue will take Ocean City’s indoor track team back to Toms River on Saturday for the NJSIAA South Jersey Group 3 Meet. 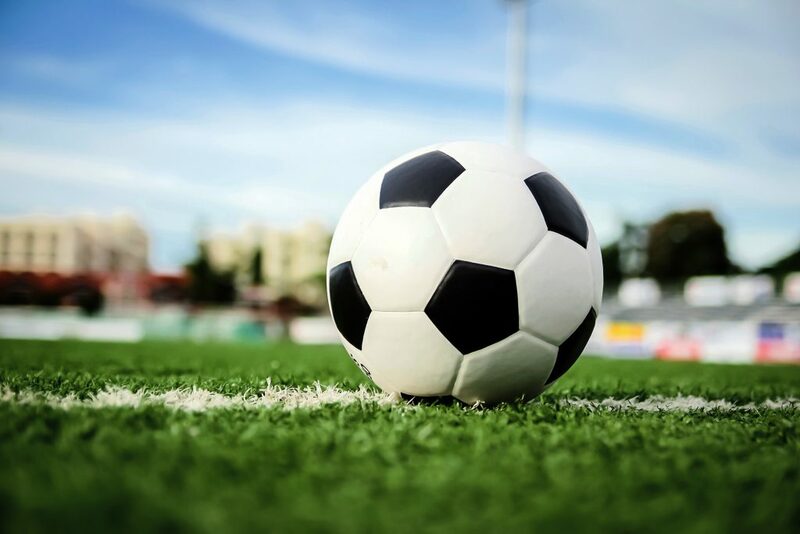 Check out all the OCHS daily results and schedules in the Raider Sports Diary – http://www.oceancitysports.com/OCDiary.html.